Like any college kid balling on a budget, I couldn’t pass up a free adventure, and this time it was to Israel. Two days after my fall semester at Syracuse ended, I packed my bags. With little understanding of how it was possible to jump on an international flight without paying a dime just because I’m considered Jewish, I signed up and planned my departure date for December 19th, 2018. I met my Israel Outdoors group at LAX and we took off on my flight 14-hour to Tel Aviv. International travel typically entails different cultures, unique currencies and new food. Little did I know the kosher food was going to start inflight. On my Air Canada flight, we were served kosher eggs and a muffin. Like 99 percent of my travel group, I decided to stick with the muffin since the egg had the same texture and look of the sponge that I use to do the dishes. Two movies and a few palatable snacks later, our group landed in Tel Aviv. Jetlagged as can be, we smelled the fresh air. We saw that the airport was much less infested with tourists (besides ourselves) than the airports back home and observed that most of the signs in the airport were in letters from a different alphabet. Perhaps what drove home the realization that we were no longer in the U.S. – the fact that there wasn’t a Starbucks in sight. Seeing all these differences were exciting for many on the trip that had not been off of the North American continent – let alone to the Middle East. As we went to board our tour bus, many were preoccupied by the desperation to take a shower—until we were greeted by our Israeli tour guide and five Israeli Defense Force (IDF) soldiers. The image of these soldiers was not the image we often conjure up in our minds. They, in fact, looked like many of us in civilian clothes and were the same age as us: about 22 years old. Throughout the trip these soldiers, Itamar, Omer, Shira, Talia, Dvir and Yonny, were willing to give us Americans pointers on how to say simple words in Hebrew like “thank you” (toda), “good morning” (boker tov) and “cool!” (sababa!). They were there for us when we wanted to find places to get the best falafel, shawarma or hummus – which by the way is pronounced hoo-moose. And they were definitely there for us when we just wanted a friend throughout our expedition. We explored Israel from nearly top to bottom: from the Syrian border to Tel Aviv, Jerusalem and the Dead Sea. Each city had unique sights to offer. Tel Aviv, as I like to think of it, is the Los Angeles of Israel. It is your busy metropolitan city with skyscrapers and a prominent nightlife. As one of the IDF soldiers described it – it’s the sin city of the Jewish state. We stayed there for two days where we truly meandered around like the tourists we were. We journeyed to Masad, hiked our way to the top at sunrise, effortlessly floated in the Dead Sea and finished the day sleeping in a Bedouin tent. We then traveled to Jerusalem for my favorite part: saying a prayer at the historic and biblical Western Wall, after which we visited an outdoor market where you could buy everything from jewelry to fish. One of the first things that caught my attention once I got to the hotel in the shore city of Tiberias was my phone’s Maps app. It showed me I was just a little south of Syria and due north of Jordan. I was a mere few hours away from two countries frequently in the news for international conflict, migration crises or terrorist attacks. When many Americans think of a trip to the Middle Eastern part of the globe, the question of safety is often the first concern that pops into mind – if not the traveler, then often the traveler’s parents will be freaking out on their behalf. Now, I had never been closer to these countries. Yet the rest of the group and I felt absolutely safe. Each birthright group travels with a hired armed guard who is also an IDF soldier functioning as a medic. Everyone on the trip was completely safe and sound. On another note, throughout this trip, there was very little religious push – for many, that was a major concern. That was arguably one of the best aspects of the trip. Our tour guide gave us the important information, the significance of each destination and how it may have related to biblical stories. Most of us were not religious, so we were grateful to have the opportunity to explore such a significant land to our heritage without being pressured to become more religious. 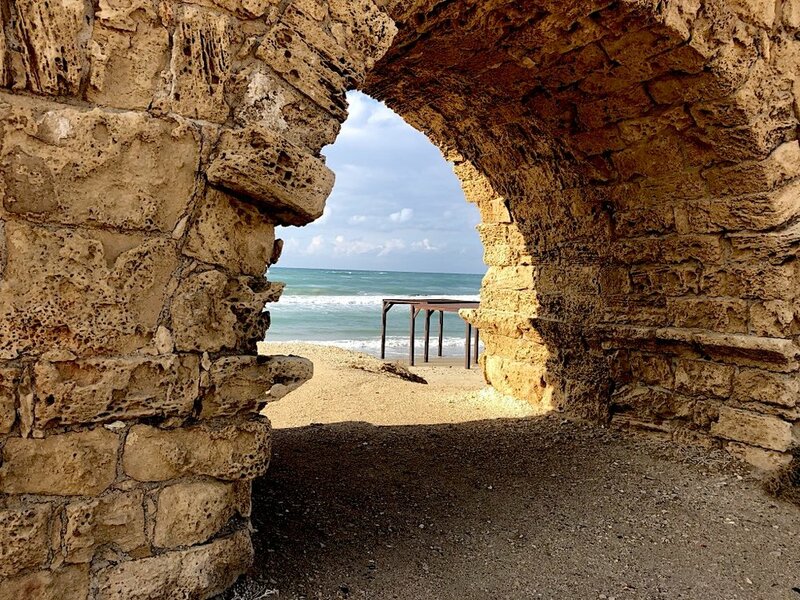 For those looking for a religious experience, there are trips that meet those needs like Free Spirit Israel. Birthright Israel allowed for an incredible experience at relatively little cost to travelers and it was a well-planned out trip that encompassed much of what Israel has to offer. For those who consider foregoing this this trip – my piece of advice to you: DON’T! These trips provide cultural exposure and knowledge, and I recommend everyone qualified to take the opportunity and sign up to learn more about their heritage. Landon Wexler is a senior studying television, radio and film at Syracuse University.